Perdue was the last cabinet secretary Trump nominated, back on Jan. 19. Some senators, including Iowa Republican Chuck Grassley, have said one reason it took so long to get from nomination to confirmation hearings is that Perdue had to unravel himself from many agribusiness dealings in order to comply with financial disclosure and ethics requirements. Reuters has reported that Perdue’s disclosure paperwork says he’ll put his agribusiness assets into a blind trust, something he declined to do as governor. And, as POLITICO has reported, ethics controversies during his governorship included tax breaks that benefited him and improper funding of his campaign. Those concerns, however, did not come up on the Hill today, and Republican and Democratic senators alike focused their questions largely on seeking Perdue’s commitment to developing a stronger safety net for dairy farmers, expanding farmworker immigration policies to include dairy workers, and trying to prevent the drastic cuts to some rural programs that are included in Trump’s proposed budget. 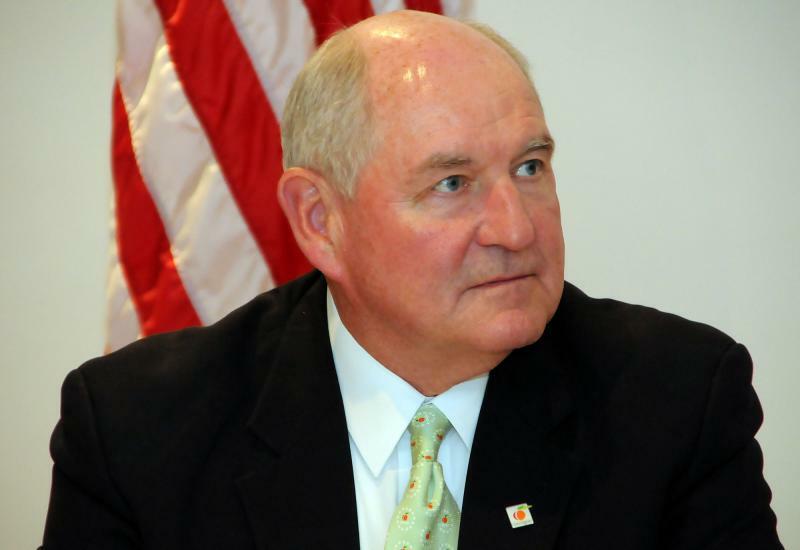 Perdue told the committee he also would work to build better relationships between USDA and other federal departments and agencies, some of which some agriculture groups have seen as hostile to the sector in recent years, such as the U.S. Environmental Protection Agency. Other priorities include food safety and trade, Perdue said. Senators pressed him to be an advocate for agricultural products with the U.S. Trade Representative. “Agriculture needs a strong advocate, a tenacious advocate,” on trade, Perdue said. While the questioning included many references to the 2018 farm bill, which Perdue pledged to work on in a bipartisan manner, there was precious little mention of that legislation’s biggest line item: nutrition programs. The federal government allocated nearly $80 billion for spending on the Supplemental Nutrition Assistance Program (SNAP), the official food stamps program, in the 2016 fiscal year. Funding for SNAP is mandated by the Farm Bill. The next Agriculture Secretary will surely play a role in the passage of the next Farm Bill, due in 2018. Perdue said he’s ready to jump into the already-underway process of crafting the 2018 farm bill. The Agriculture Department has nearly 100,000 employees and includes a wide-range of programs from the forest service and animal disease monitoring to food stamps, farm subsidies and conservation. Its annual budget is approximately $150 billion. After more than two hours of testimony, the hearing adjourned without a vote. Committee chair Sen. Pat Roberts, Republican of Kansas, invited senators to submit additional questions or statements and said they would have five business days to do so. Despite the delays, observers predict confirmation as little public opposition has been raised. Well, except for a lone protester in the committee room who very briefly interrupted the hearing with complaints about animal agriculture. Security ushered her out.